The National Agency For The Prohibition Of Trafficking In Persons (NAPTIP), Osogbo Zonal Command has enlisted the supports of the media in the state on its campaign against human trafficking. 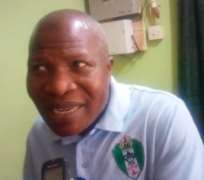 The Zonal Commander of NAPTIP in Osogbo, Mr Aganran Ganiu Alao who paid an advocacy visit to the Correspondents Chapel of the Nigeria Union of Journalists in Osogbo, Osun State said the war against human trafficking would achieve huge result with the involvement of the media. He disclosed that NAPTIP has rescued 11,279 persons from slave labor between the period of it's inception in 2003 and June 2017. He added that the number of people rescued between the period excluded the Libya returnees recently brought into the country. He said the agency has investigated 3,447 cases and got 274 conviction. He added that 325 persons were convicted and were serving various jail terms. Aganran described human trafficking as a dangerous business all over the World and pleaded with the media to join the campaign to end the menace. The Commander said the Osogbo Zonal Command of NAPTIP also solicited the support of the traditional rulers on the campaign. Aganran explained that the mandate of the Agency included rescue and rehabilitation of human trafficking victims and arrest / prosecution and traffickers. While responding, the Chairman of the Correspondents Chapel of the Nigeria Union of Journalists in Osun state, Prince Hameed Oyegbade assured NAPTIP of the readiness of Journalists to assist the agency on the campaign against human trafficking.